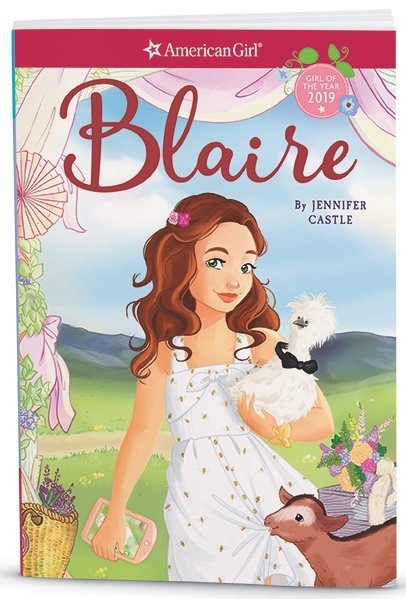 Jennifer Castle is the author of the books for latest American Girl Girl of the Year, Blaire Wilson. The following is a complete transcript of her interview with Cracking the Cover. Why do you write? Why write for young people? I write because I’ve always written, ever since I was a little kid. I used to make up serialized stories in my head every day on the school bus and started writing my first (never finished) novel when I was 13. When something has always been a big part of who you are, and you find that you just love it (even when it’s hard), then there’s pretty much no way you can stop. The fact that my writing gets published and shared with actual readers is a giant bonus! I write for young people in particular because I feel like I’m forever in the process of growing up myself, and also because the incredible urgency and honesty of youth literature makes it extra-fun to write. All literature asks the big questions in life, but youth lit really really really wants to know the answers. How have past careers influenced your writing? Before I started writing full time, I produced educational interactive media for young people, including a website for PBS Kids called “It’s My Life.” I researched and wrote quite a bit about social-emotional issues for pre-teens, so when it came time to write fiction, I had a good range of knowledge about heavier topics. As a result, my YA novels explore themes such as grief, friendship, identity, depression, and learning differences. Before my time in that career, I was an aspiring screenwriter. I learned a lot about how to craft dialogue that really moves the story along, and that’s served me well in my work ever since (dialogue is also my favorite thing to write; I love voices). How did you become involved with American Girl? What was your first exposure to it? I come from the “Barbie” generation (although I was always going for the alternatives, like the “Bionic Woman” doll) so my first introduction to American Girl was through my niece, who was obsessed with all the early historical dolls. Once I had two daughters of my own, AG quickly became a large, positive part of their imaginative play and reading. I always read the books and admired how well-written and carefully crafted they were and knew I would love to author one someday. How did you come to write the Blaire books? After writing four YA novels, I was looking to switch things up and work on stories for younger readers. 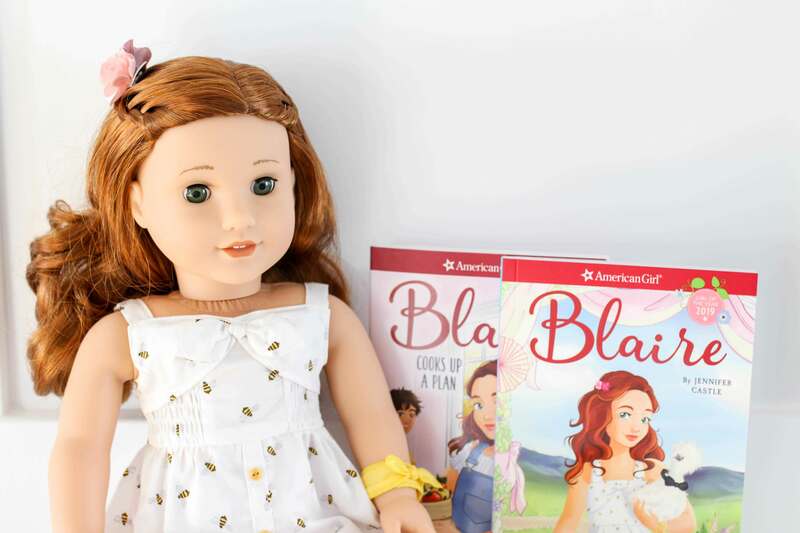 When American Girl launched their publishing partnership with Scholastic, my agent suggested submitting me for future projects— and of course, I said yes. I knew I was being considered for something when they sent me a list of specific story elements and themes, asking if I had personal connections to any of them. It was an amazing surprise to hear that I’d been selected to write the books for the Girl of the Year 2019! 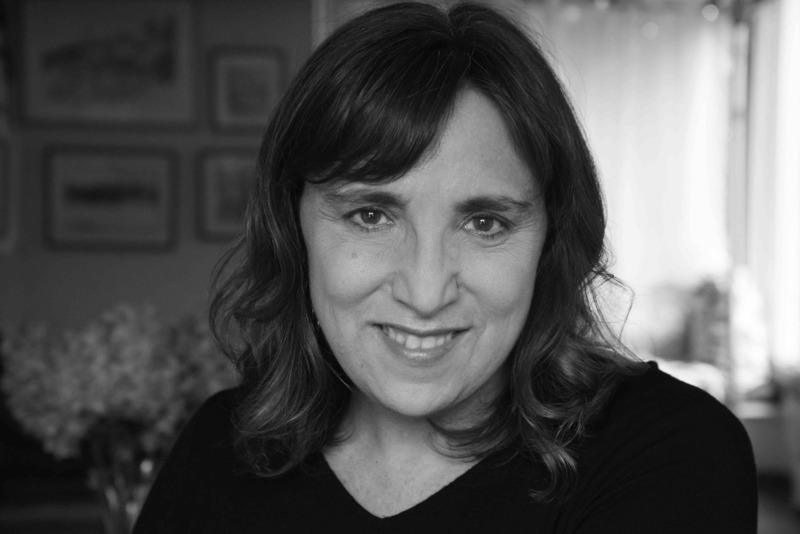 I was chosen based on the strength of my previous work, especially my novel Together at Midnight, and my background writing about social-emotional issues. The fact that I have experience with adjusting to a food restriction — my younger daughter has Celiac disease and is gluten-free, and I struggled with Crohn’s Disease when I was an adolescent — and live in one of the areas AG was considering as a setting (New York’s Hudson Valley), also came into play. I’m told these selection processes are very competitive, with AG dedicated to finding the right author fit for a character, and I feel extremely fortunate to have been the match for Blaire! How much of Blaire’s world was already in place when you came on board? American Girl had established that this character lived on a sustainable farm that included a farm-to-table restaurant and event space, and that she enjoyed cooking and using her creativity to make things beautiful. From there, I fleshed out Blaire’s world to include the bed-and-breakfast, the animals, the barn renovation and first farm wedding, and characters like Cat (the farm manager), Grandpa, and Blaire’s BFF Thea. The process of working with American Girl and Scholastic on a story is super-collaborative. I think of it as a DNA spiral: my ideas would help evolve theirs, and theirs would come back to push mine further along, and so forth until the finished book. Along those same lines, did Blaire already have a food allergy and why dairy? “Coping with food sensitivities” was part of Blaire’s character sketch from the very beginning, but the editors at AG left it up to me to suggest which type of sensitivity. (I would like to clarify here that a “food allergy” and a “food sensitivity” are different and shouldn’t be confused.) 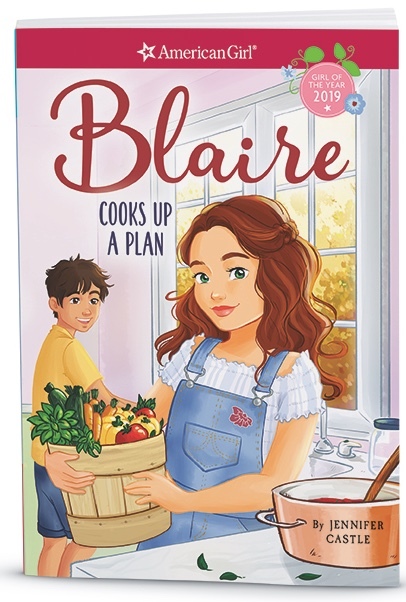 The obvious thing would have been to make Blaire gluten-free, like my daughter, but after a lot of pondering and research, I felt dairy would be more challenging for Blaire as a cook and as a kid in general. Gluten-free food options out there are plentiful and excellent, while dairy-free options are not so much. Dairy sensitivity is also more common. But I aimed to write the story in such a way that Blaire’s struggles could be about any type of food restriction. As far as American Girl goes, the historical book, aka BeForever, are kind of the meat and potatoes. How does writing a contemporary novel compare? Did you feel any pressure to live up to your books’ predecessors? Before drafting the first book for Blaire, I read a few of the contemporary books that I was not yet familiar with, and re-read the beloved stories in our house (hello, Kit!). What struck me is that when you have different authors bringing different characters to life, in different settings, each book really stands on its own. 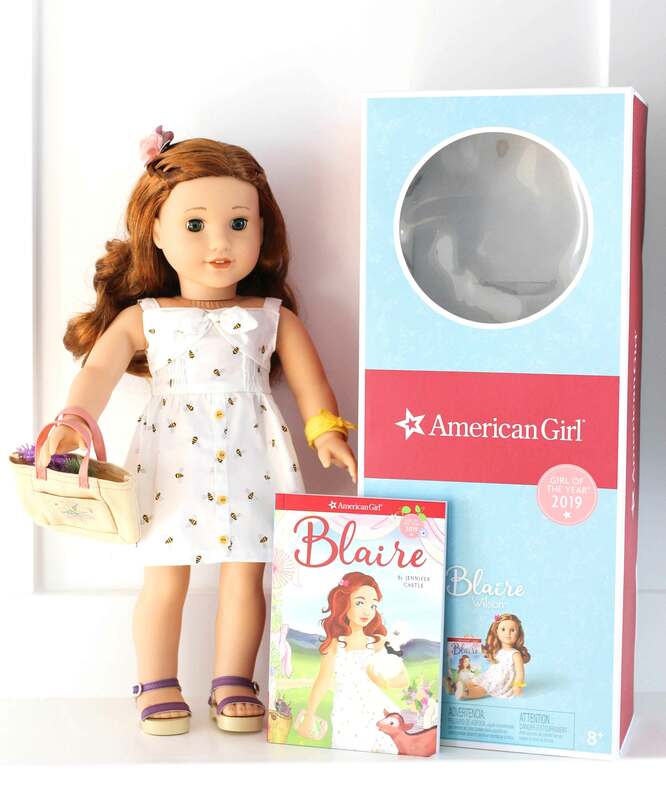 I was encouraged by the editors at American Girl to bring my specific voice and humor to Blaire’s narrative, and that was also very freeing. I will say that the editors at American Girl are incredible and really help make these stories the best they could be. As an author, I learn with each book, and I learned in spades from them. What’s it like to be the author of an American Girl character? Some authors get lucky and see their characters come alive on a stage or screen. I’m a different kind of lucky: I got to see my character in doll form and give her a big hug! It’s an almost surreal feeling to know that this character, who I spent a year thinking and writing about and rather feels like a third daughter to me, will become part of the imaginations and childhoods of so many kids. I hope young people forge connections with her that inspire, entertain, comfort, and last a lifetime. Why do you think readers will be drawn to Blaire’s story? What I’ve loved most about Blaire, from the very beginning of this project, is that she lives a “timeless” life: on a family-run farm where she’s part of the business; connected to nature, animals, and her friends; focused on in-person gatherings and celebrations; and as a hobby she enjoys making things (food, crafts) with her hands. That part of her story resonates with those of us who crave the simpler elements of times past. But Blaire is also a very modern American 10-year-old who struggles with contemporary issues. Aren’t we all trying to balance the trappings of today’s world with the elements we know will bring us back to basics? Also, I think there’s a bit of fantasy in Blaire’s story — I mean, I sure want to live on Pleasant View Farm! — and there’s definite appeal in that, too. Is there a book from your own childhood that still resonates with you today? I have to give a hat tip to Judy Blume on this question. I still remember passages and feelings from books like Are You There God? It’s Me, Margaret and Deenie. When you’re young and read a book that makes you say, “Wow, so all those weird thoughts I have that make me feel like a freak? I’m not the only one who thinks them? I’m not alone?”…those are the books that stay with you forever.